Our slices, pies and turnovers are properly made and packed with fresh ingredients to suit a wide range of customer types. 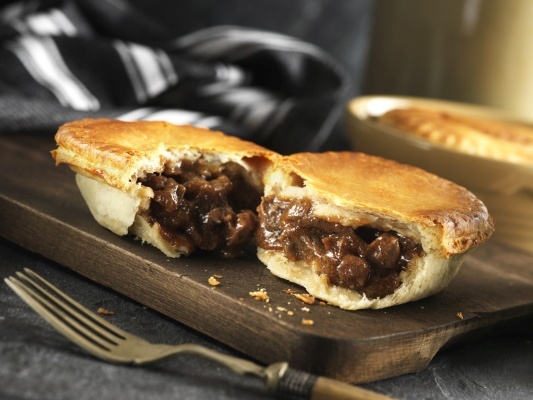 Our range of frozen unbaked products make it easy to serve delicious slices, pies and turnovers every time. From small units to large national bulk orders, talk to us about our products. 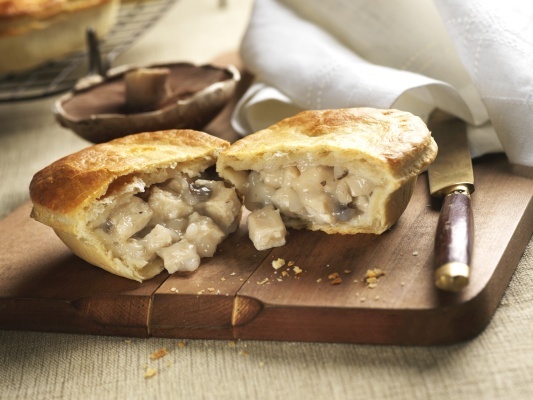 Tender chunks of chicken cooked with mushrooms in a rich creamy chicken sauce with a puff pastry top. 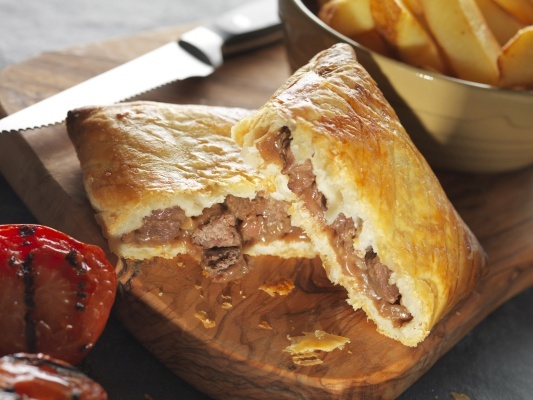 Tasty chunks of steak & kidney in a rich onion gravy with a puff pastry top. A delicious slice with prime beef and onion ﬁlling cooked in a rich gravy. 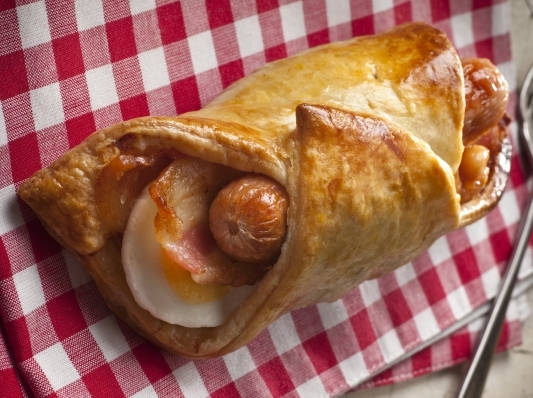 Bacon, sausage, egg and bean wrap - the perfect breakfast!